In my studio I have limited storage so have had to prioritise which bit of kit I just can’t live without. 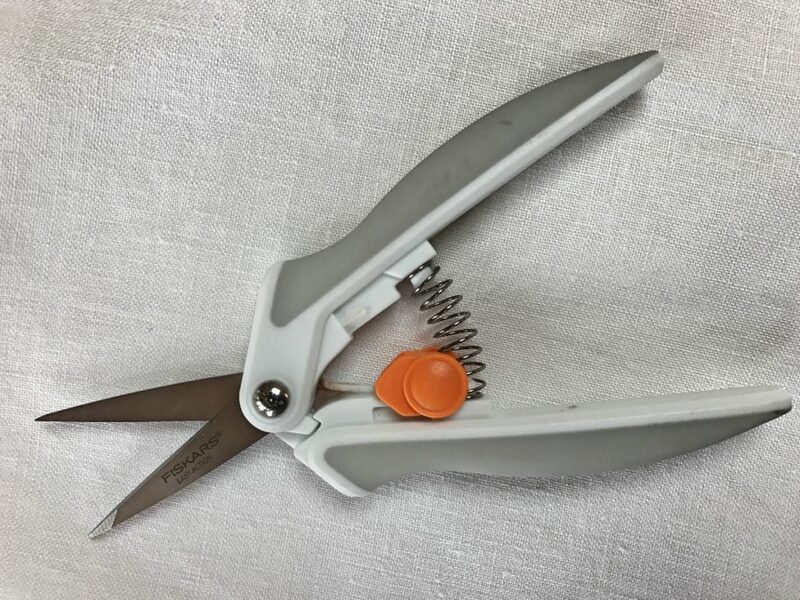 The following are some of my favourite sewing gadgets that I use on a regular basis. 2. Bondaweb. How did we ever survive without this? Used to bond 2 pieces of fabric together, it ensures that all your appliquéd fabrics are pucker free- makes life SO much easier when free machine embroidering. 3. 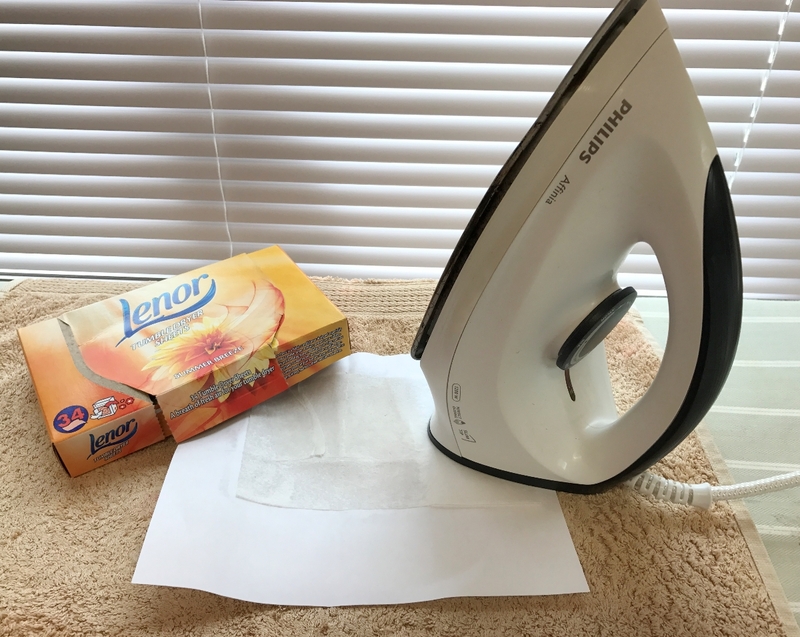 Tumble drier sheets- these are fab for cleaning your iron. Essential after using bondaweb! Just put one on an old piece of paper and keep it close by- rub your iron over it and Voila! 4. 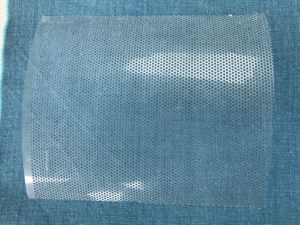 Transfer mesh. I’ve only just discovered this and now use it for transferring designs. It comes as one whole piece which I have cut up to use in my workshops. It’s a piece of thin plastic which has tiny holes all over it. Lay it over your drawing and trace over, then lift and place over your fabric and trace again. So quick! I usually use a bit of masking tape to keep it in place and wipe it over straight afterwards with a baby wipe to remove all traces of the design. It’s great for simple outlines but not so good for small fine details. 6. 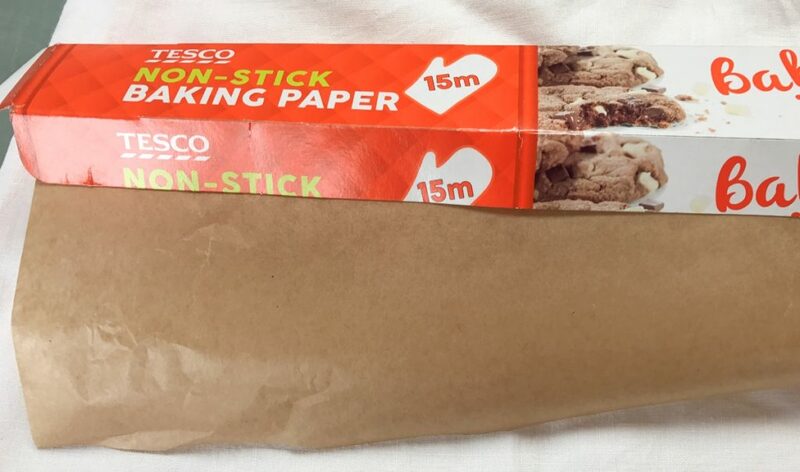 Non stick parchment. Not so much a gadget but something which makes life easier nevertheless. I always keep this on the ironing board and encourage all workshop ladies to use it. 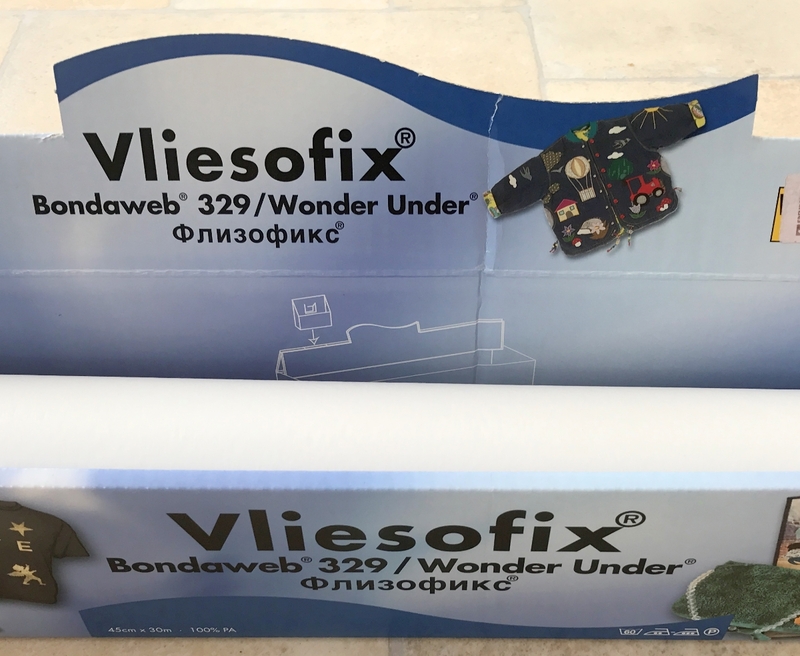 Especially brilliant when using bondaweb or angelina fibres and safeguards your iron from being wrecked. 7. Battery operated bobbin winder. 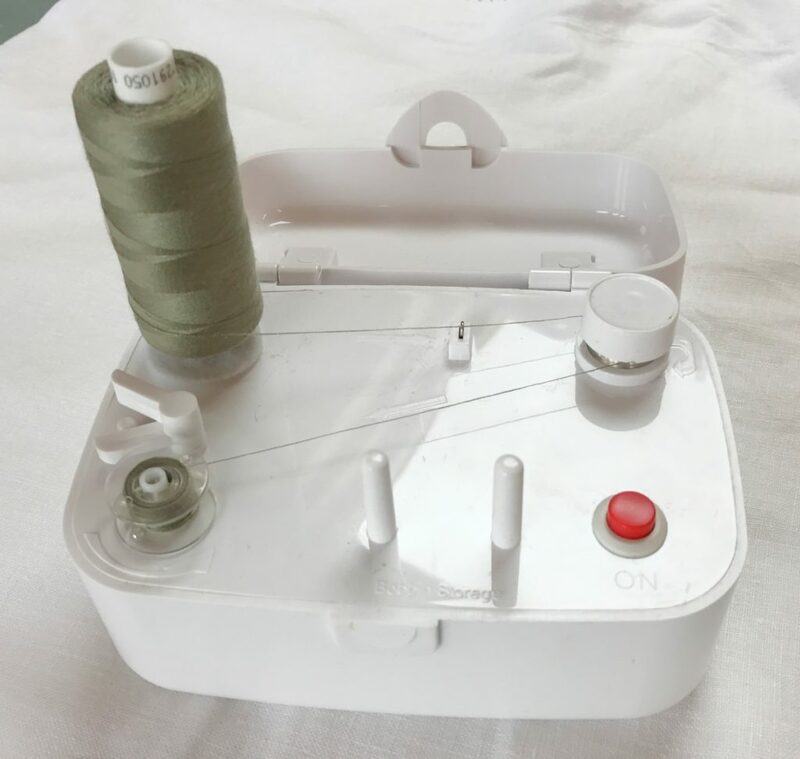 This is such a useful item to have if, like me, you just find it a complete chore to unthread your machine just to wind a bobbin- this is usually when youre in full blown- don’t talk to me I’m concentrating- mode isn’t it? Just pop your thread on the spool holder, wrap round the bobbin case, flick the switch, and you’re away. I often sit in front of the TV with this little gadget and do 20 at once. Just saves time in the long run. 9. Transfer Pens. I use both frixion which disappears with an iron, and water soluble pens. It really depends on the purpose of the job in hand. Both make life so much easier. I’m sure there are loads of other gadgets that I use but this is just a snapshot into my old faithfuls. I hope you find it useful! Some of these have been recommended by my visiting ladies who offer constant tips and love to share- what they don’t know about sewing, really isn’t worth knowing! That’s one of the nicest things about getting a group of stitchaholics together – everyone’s had a lifetime’s experience of sewing and therefore problem solving and we all love to help each other. Makes you feel good- Stitching really is good for the soul.